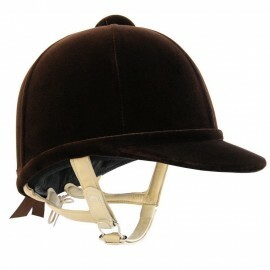 FIAN BROWN Like its predecessor, this helmet is perfect for showing, yet adds the latest European protection and safety. Covered in the most luxurious velvet trimmed to perfection and featuring a slim tan harness to create a supremely elegant appearance. 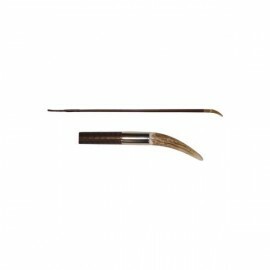 Only kitemarked a..
Fian The Fian blends the elegance of its predecessor, the popular Fiona, with sophisticated safety technology to create the ultimate hunting and showing hat. 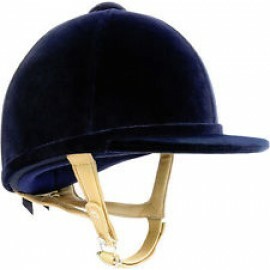 Covered in the most luxurious velvet and trimmed to perfection, the Fian offers a slim tan harness to create a supremely elegant ..
FIAN BLACK Like its predecessor, this helmet is perfect for showing, yet adds the latest European protection and safety. Covered in the most luxurious velvet trimmed to perfection and featuring a slim tan harness to create a supremely elegant appearance. 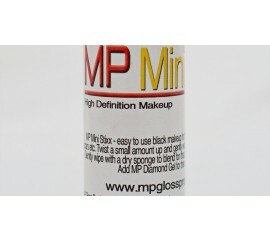 Only kitemarked a.. The classic profile of the H2000 by Charles Owen is covered with thick pile Italian velvet. For extra comfort, it is lined with absorbent cotton and the supersoft headband is coated with Nanotec silver for hygiene and freshness. It incorporates a high energy absorbing peak that enables rid..
H2000 NAVY The classic profile is covered with thick pile Italian velvet. 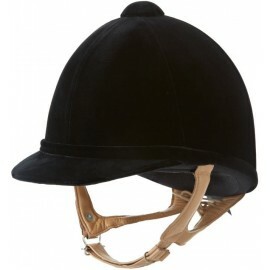 This versatile helmet offers a smart and traditional appearance, yet still provides the protection a rider requires. 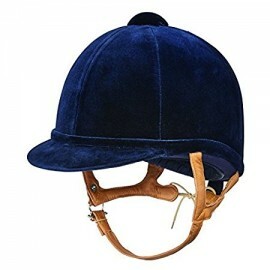 The inside is fitted with a super soft head band, while the adjustable tan harnes..
A smart traditional hat that is safer than many jockey skulls. 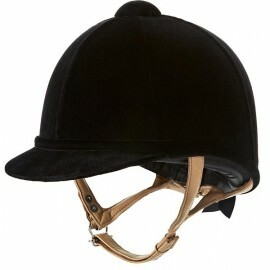 With the shape and profile of the Showjumper 2000 and a durable four point webbing harness. 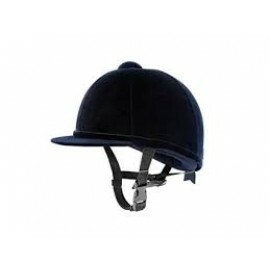 The show hat has been combined together with the fit of the safety hat to become the best looking, best fitting riding hat. The hat t..